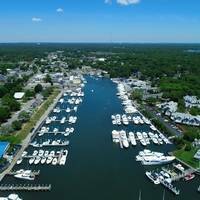 Located in Harwichport about eight miles west of the eastern tip of Cape Cod, Doanes Creek leads in to Allen Harbor, which has three excellent marinas and a small anchorage for visiting boats. 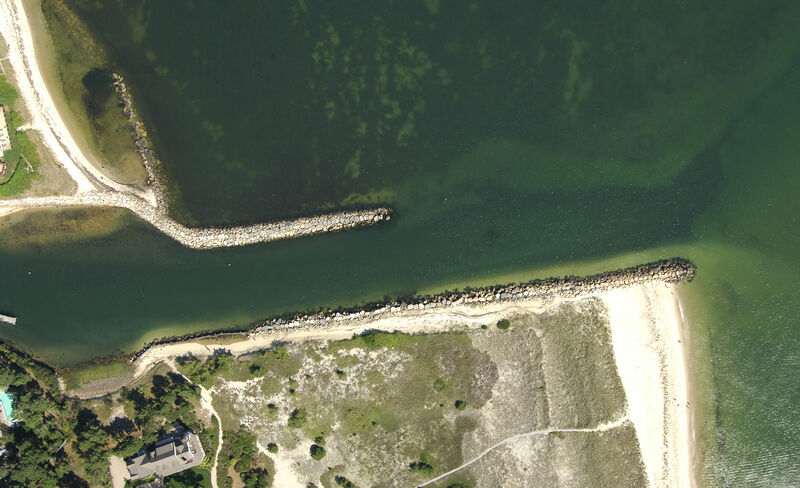 Harwichport is east of West Dennis and Dennis Port and is a convenient stop point for boaters traveling Nantucket Sound and the islands. 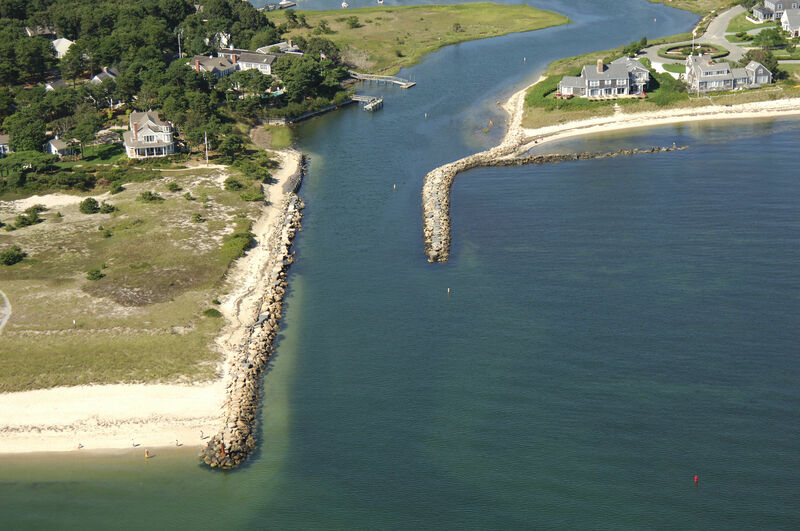 The image above is a view to from the south looking north over the entrance to Doanes Creek and Allen Harbor. 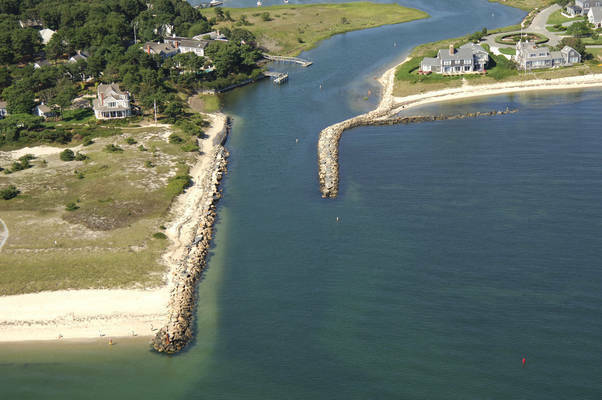 Off to the right (east) out of the picture is the town of Harwich Port, while Earles Beach lies to the left (west). The beginning of the entrance channel into Allen Harbor is located at an approximate waypoint of N41 39.307 W70. Here you will find green can buoy 1 and red nun buoy 2. Once you have safely picked up the entrance marks, proceed north to intercept green can buoy 3, red nun buoy 4, green can buoy 5, red nun buoy 6 (visible in the image above), and then a quick flashing green light on the west inlet jetty. 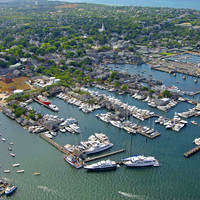 Depths in the approach are around five to seven feet, with seven-foot depths inside the harbor. 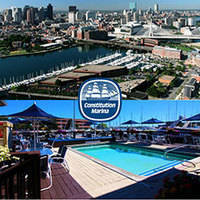 Once inside Allen Harbor, you will find three marinas, but as of this writing none of them accept transient guests. There is, however, a fuel dock here that sells both gas and diesel fuels. Moorings are administered by the yacht club. No reviews yet! 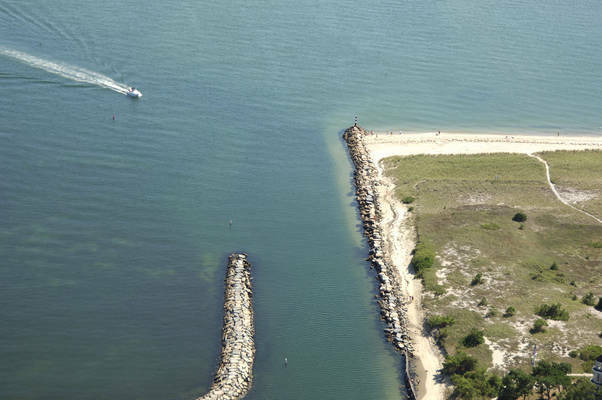 Be the first to write a review of Allen Harbor Inlet.